Good manners when you’re behind the wheel – not everyone has them. But, that doesn’t mean you have to get caught up in the rush and the fury. Instead, use these tips to help keep road rage incidents out of our local headlines and, most of all, help keep you safe. Be a good example. Sure, other drivers do annoying and even dangerous things. But, what about you? If you engage in any of these behaviors, it’s time to stop. Remember, driving is not a race or a contest. Give yourself plenty of time for your trip so you’ll be less frustrated when traffic backs up or a driver cuts in front of you. Manage your expectations and reactions. When you expect courteous or traffic-free roads, you set yourself up for disappointment and aggravation. Instead, realize that you can’t control other drivers, and you certainly can’t control traffic. You can, however, control how you react to those things. So, do so calmly. Don’t take the actions of others personally, even if they do seem deliberate. If you see road rage, steer clear. 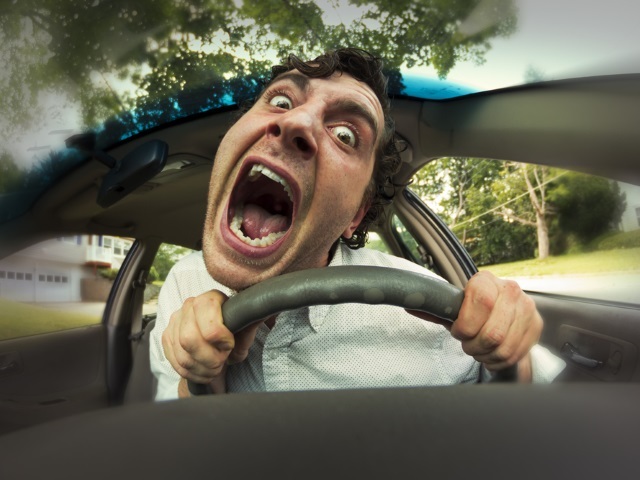 Move away from drivers acting aggressively or dangerously, particularly if they’re angry at you. Don’t pull over to have a confrontation with the other driver, and call the police if you feel the situation warrants it. Can’t manage your anger? Get help. Anger management resources, such as classes, books or podcasts, can help you decompress. It may make your time on the roadways more peaceful for everyone. The dangers of road rage are real, as you may have experienced for yourself. So, do your part to help keep anger off of our local roads. You’ll be a happier driver – and person – because of it! The biggest compliment you can give us it to refer your friends, family members, co-workers and neighbors. We are a small agency and thrive on word or mouth referrals. If they mention your name when they call or come in, you will receive you a $5 giftcard and we make a donation to a charity. **This months charity is: Rotterdam Challenger Tri-County. In Scotland, April Fool’s Day is often called “Hunt the Gowk Day”. What is a gowk? “April, April, you stupid herring, I can fool you to wherever I want.” In which country would the joker recite this to their victim? What long-lived soap opera made its debut on the first of April 1963? As a prank in 2009, where did Expedia say travelers could go? One of the greatest pranks of all time was the Spaghetti Tree Prank. In which country were Spaghetti trees said to be growing? In 1996, on April Fool’s Day, what historical treasure did Taco Bell claim they had purchased? What island was hit by a tsunami on the First of April, 1946? What novel has the earliest recorded association between foolishness and April first? Many believe that the origin of April Fools deals with the adoption of which new calendar?